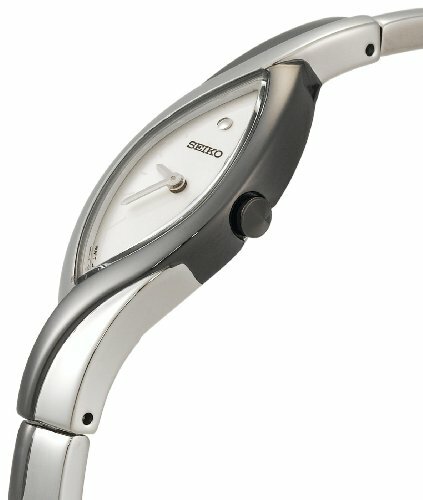 The hip Seiko Women's Modern Jewelry Watch is delicately designed with waves of shaded stainless steel for a clean, stylish appearance. This timepiece is constructed with a stainless steel case, a two-tone-stainless-steel bezel, and a two-tone-stainless-steel bracelet with a delicate jewelry clasp. 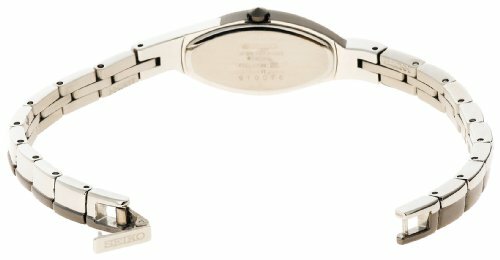 A curved hardlex window shields the silver dial face, which features subtle silver-tone hour markers and matching silver-tone watch hands. 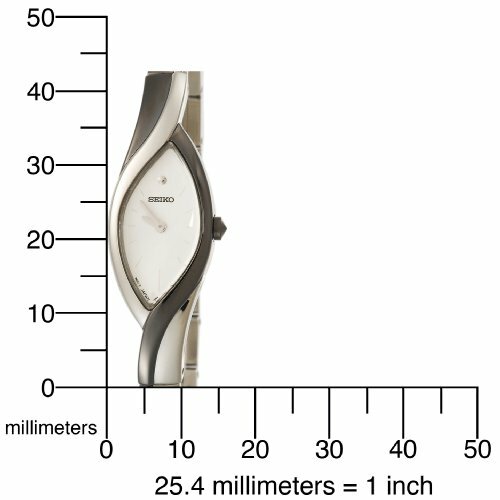 Powered by quartz movement, this timepiece is water resistant to 99 feet. 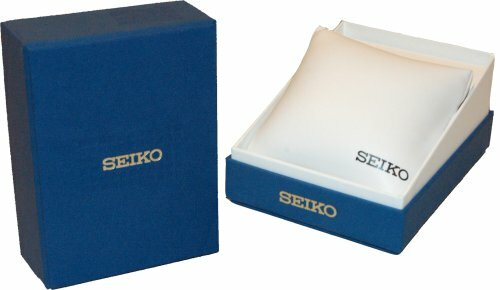 It is presented in a luxuriously padded Seiko case.